Pour the lemon cake mix into a large bowl and the strawberry cake mix in another bowl. 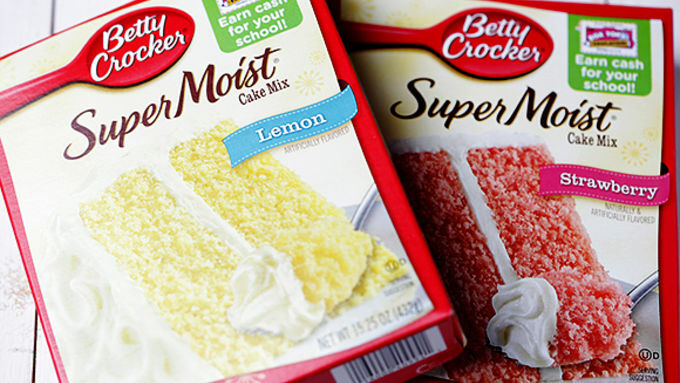 To each cake mix, add 2 eggs, 1/3 cup vegetable oil, and 1 teaspoon of lemon juice; mix until well blended. Cover and refrigerate each bowl for 20 minutes to firm slightly. 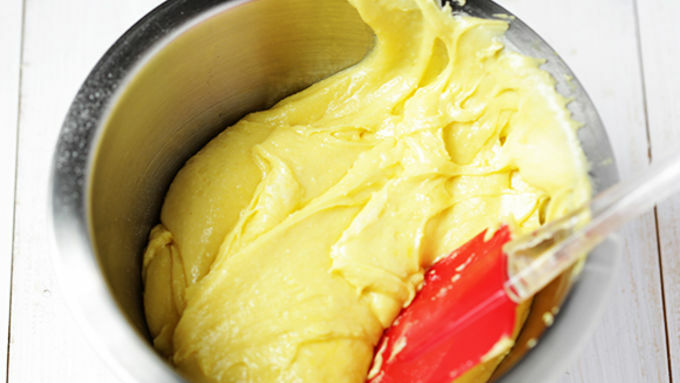 Remove batters from fridge, and take 2 rounded teaspoons of lemon batter and roll into a ball. Repeat with the strawberry batter. 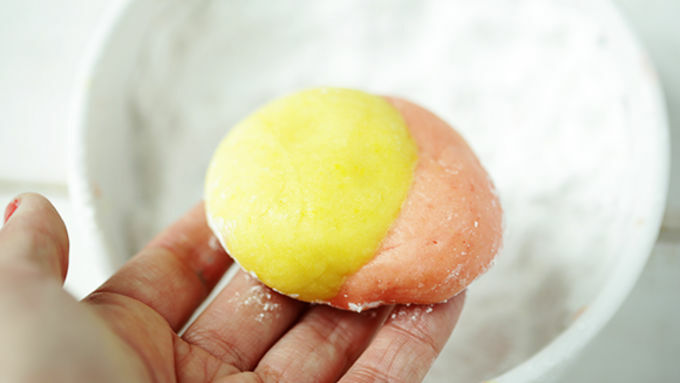 Gently roll the lemon and strawberry dough together to make one large ball. Transfer the dough ball into a bowl with 1 cup of powdered sugar, and roll to lightly coat in sugar. Place on a parchment-covered baking sheet at least 2 inches apart. Repeat with remaining dough. Bake each batch for 10 minutes, until they turn slightly golden and are cooked through. Transfer to wire rack and let cool completely before serving. To make the glaze (optional), whisk together 1 cup powdered sugar with 1-2 tablespoons of milk until combined. Add more milk to thin the glaze if needed. 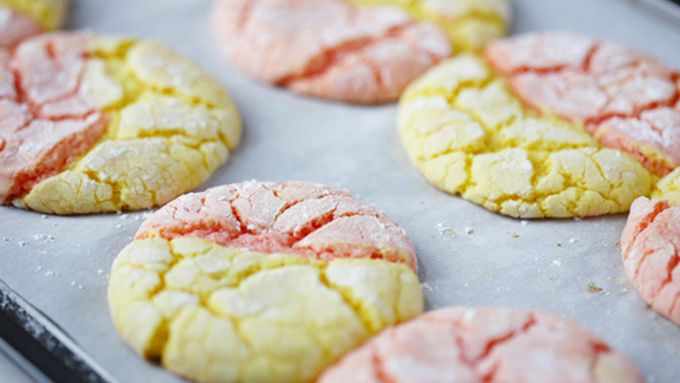 Drizzle with a fork or piping bag onto the cookies once they have reached room temperature. For all of you who love a refreshing glass of strawberry lemonade, those classic flavors have now found their way into your oven. 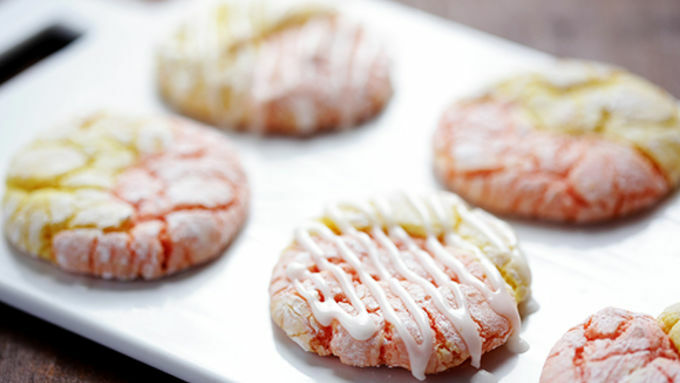 Introducing -- Strawberry Lemonade Cookies! 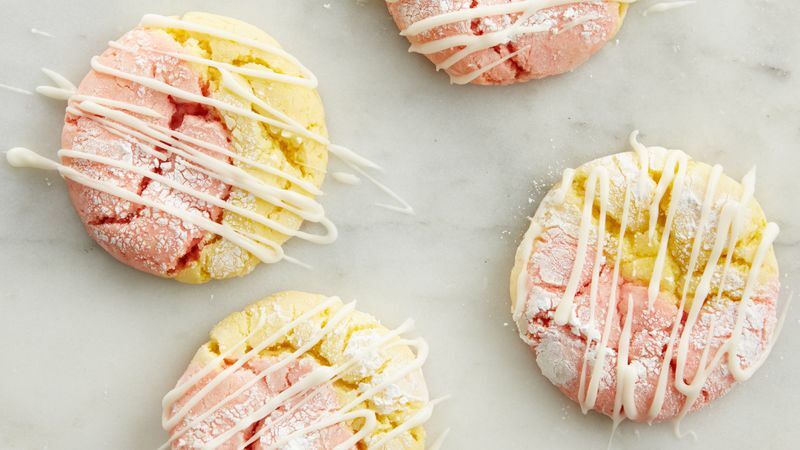 These simple cake-mix swirl cookies combine the best of both strawberry and lemon worlds. Simply mix up both cookie batters, and roll together two pieces of dough to form a single dough ball, then have fun watching as they bake up in a cute “swirl” cookie design. If you’d like, whip up a batch of simple icing, and drizzle it on the cookies once they have cooled to room temp. Or you can leave them plain. Either way, they are sweet and delicious. Definitely the perfect summer cookie! Many thanks to Mother’s Mementos for the inspiration.